Foreign lawyers could be prohibited from practicing in Russian courts | Russian Legal Information Agency (RAPSI). MOSCOW, April 14 (RAPSI) - Denis Voronenkov, member of the State Duma Security and Anti-corruption Committee, has submitted a bill to the State Duma that would prohibit foreign lawyers and their firms from providing legal representation in Russian courts, according to the database of the lower house of parliament. The amendments are proposed to Russia’s Commercial Procedure Code and Civil Procedure Code. Under the bill, foreign lawyers would be banned from representing clients in commercial and civil disputes considered by Russian courts. 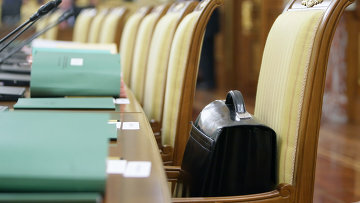 “Practicing of foreign legal firms as advisors and attorneys for Russian businessmen increases risk to inflict damage to the national economic security because access to a commercial secret and analytical data therefore becomes available to parties potentially affiliated with foreign intelligence organizations,” the lawmaker said. Similar statutory bar has been adopted in China, India, Brazil, according to Voronenkov. 15:42 14/04/2016 Denis Voronenkov, member of the State Duma Security and Anti-corruption Committee, has submitted a bill to the State Duma that would prohibit foreign lawyers and their firms from providing legal representation in Russian courts.